Welcome to Pepi Super Stores — the most amazing stores on the planet! Join our characters and explore various shops and activities within. 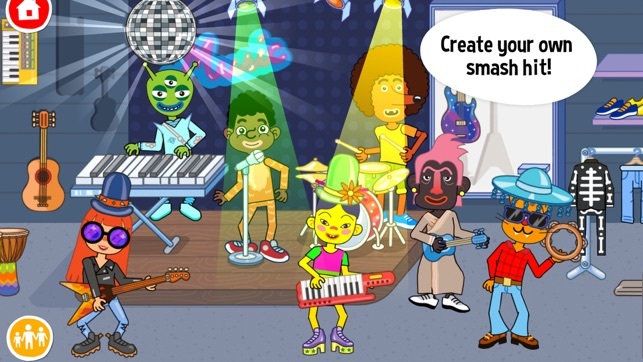 Shopping, playing pranks, creating Your own products and designs, dressing up Your characters, or creating your own musical hit — everything is possible in Pepi Super Stores! Pepi Super Stores is the latest and biggest addition to Pepi Play games collection. 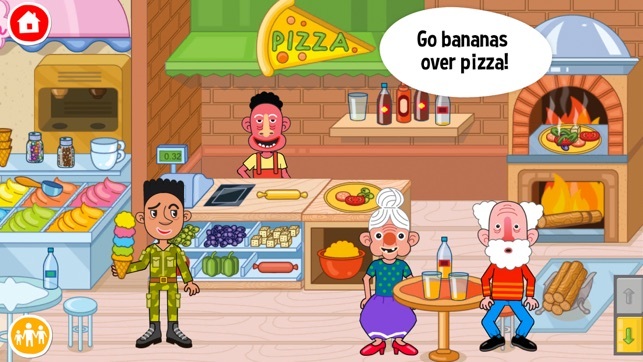 It’s a fun and safe edutainment for kids and their parents. If you ever spent a day in a huge store you know just how awesome this activity can be – every store is different and offers new set of items to experiment with. Pepi Super Stores are loaded with fantastic contraptions from the future. 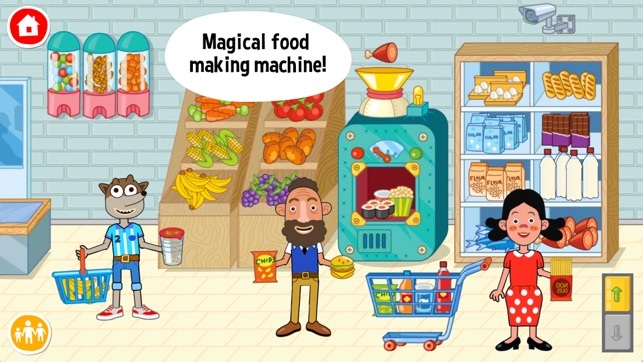 Kids can throw fruits into food machine to make juice, but the real fun awaits when they realise that any item can be used and results will vary from unexpected to surprisingly spectacular! Game encourages curiosity and exploration. Kids can invent their own scenarios and ways to play with thousands of items that can be found or created within Stores. Jump in and join kids in play, moderate the process to transform gameplay into learning. Think of funny tasks and routines for Your kid, while plethora of different items will surely help to expand child’s vocabulary. 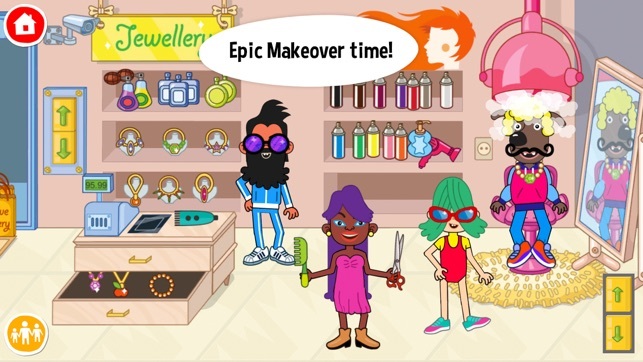 Shops and services scattered in our mall, offers unique opportunities to create mini scenarios, perform different tasks, or even create a scene thus transforming gameplay into animated series of Your own. We made sure that no episode will get boring, by adding tons of new characters, to celebrate diversity and unicorns! And when you’re done exploring your favourite floor just remember, that everything you’ve enjoyed there can be stuffed into elevator and transported into new areas. This opens fantastic opportunities to mix and match various items with results even we didn’t expect. Now that’s a secret recipe for pure FUN! Pepi Super Stores packs largest variety of playable characters we’ve ever created, but you just wait, because there is more! Each character has been enhanced with a variety of new emotions and animations! Cute Pepi Store dwellers can dance, skate, interact with multiple objects and express more feelings in any given situation. • Ability to change character clothes and hairstyles! • Become a fashion designer to create clothes with your favourite graphics. • Can be played in many ways. It's all about experiments and adventure. • Dedicated for 3-8-year-old kids, but will bring joy for the whole family. I bought this app (well I bought the bundle) for my son since he has all the other Pepi apps and loves them. While he does seem to like these apps the big issue is that there is no sound unless your using headphones. I have this issue with all 3 apps from the bundle. My son is only 5 so it is not a typical thing for me to allow him to wear headphones when using his iPad. I already did a trouble shooting with apple and the issue is only with the apps in this bundle. Would love for it to work and function fully.